Alex Scarrow's Time Riders series is nearing the end. The latest instalment, The Pirate King's came out this week, and already things are gearing up for the release of the eighth, and penultimate, instalment in the nine book saga. 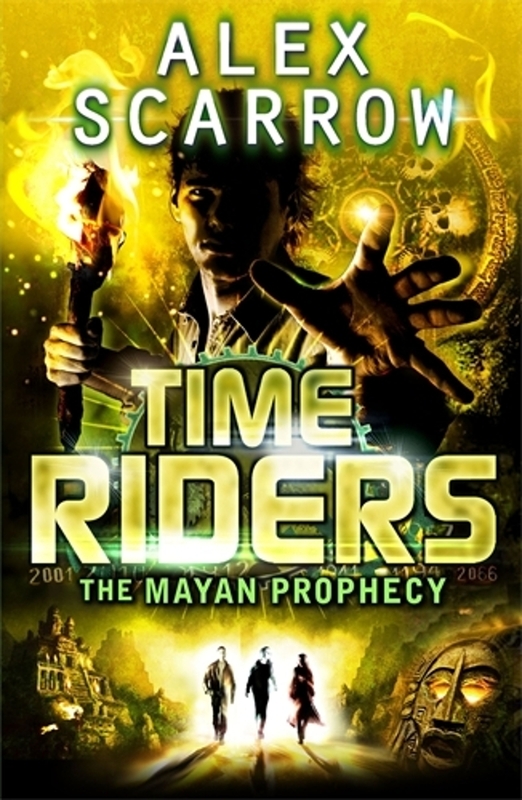 It's called The Mayan Prophecy, and is due in bookshops at the start of August. And below, you can feast your eyes on the cover which looks stunning. I for one need to catch up. Haven't read Book Five and Six and now Seven. Yikes! The yellow and the green coupled with a little Mayan magic= Bestseller! Whoever does these covers knows their stuff. Divergent 3 out in hardback in UK! Title for Lorien Legacies Book 4! The Maze Runner movie gets official release date! Cover art for ZOM-B Angels!!!! First look: Cover art for Gods and Warriors 2! !